Surface mounted round shaped LED downlighter with durable housing with Al heat sink with diffuser to give glare free light with removable driver.. 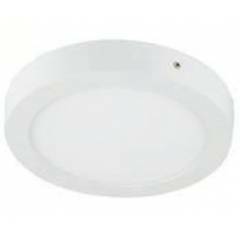 Source a havells 18w led bolt round surface light from moglix store at very good price. Nice product, high quality product and delivered in very quick time. Havells 18W LED Bolt Round Surface Downlight (6000K) is circular shaped and is equipped with an aluminium heat sink diffuser.